The interest rates on standard savings accounts have been poor for a number of years now. You may as well keep your money under a mattress for all it makes you sitting dormant in a modern savings account. So have a look below at the top 5 ways to make your money work for YOU. This is fairly common for shorter-term saving and is similar to building up an emergency fund should you lose your job. It just takes that strategy to a whole new level, you create sub-savings goals based on a 10-year plan. Based on your own personal circumstances these goals could be anything from a home deposit for your children, emergency medical expenses, a wedding, a funeral or even smaller goals for your retirement. Investing your money often seems daunting for the average person, maybe they think this is something only for the super-rich to take part in. That needn’t be the case anymore, services like moneyfarm can take most of the burden for you. All you need to do is build your profile on their site, they will have you answer some questions about your money and your goals, a portfolio is then created to match your specific goals that will maximise your money over time. Diversified portfolios reduce the risk and their expert guidance makes services like these a much better option than simply parking your nest egg in a savings account. These are special savings accounts that are not available to a regular bank customer. Usually available to only those people with a large deposit or many years of custom with the bank. These are not the very best way to make money with your savings but you will find better interest rates here than in general savings accounts. Many banks offer these accounts with other incentives so you will have to shop around, be wary of the interest rate dropping after year one as some run with high first year incentives then drop back to a more normal level. Property has long been a useful investment and it can still be in certain areas of the country. You can double the usefulness of this type of investment if you have a son or daughter going off to University and needing accommodation, often the mortgage on a flat/apartment will be cheaper than paying the rent. Rental markets tend to stay buoyant in University towns and cities so the property boom isn’t restricted to huge centres like London only. Be shrewd about your purchase and don’t pay over the odds, the property market is ever changing but if you can buy in the right area you can turn a profit much better than a savings account in only a few years. Many of us sign up for a fixed rate mortgage and then just forget about it, keep making the normal payments and by the time you retire the house will easily be paid for. Visit the bank, you’ll probably be done with your old deal and free to move on to something better. Most banks will be able to offer you a mortgage that allows overpayments, this is a great way to spend/save spare money. You aren’t obligated to pay it every month but when you do have extra you can take years off your mortgage and own that asset much sooner than otherwise possible. 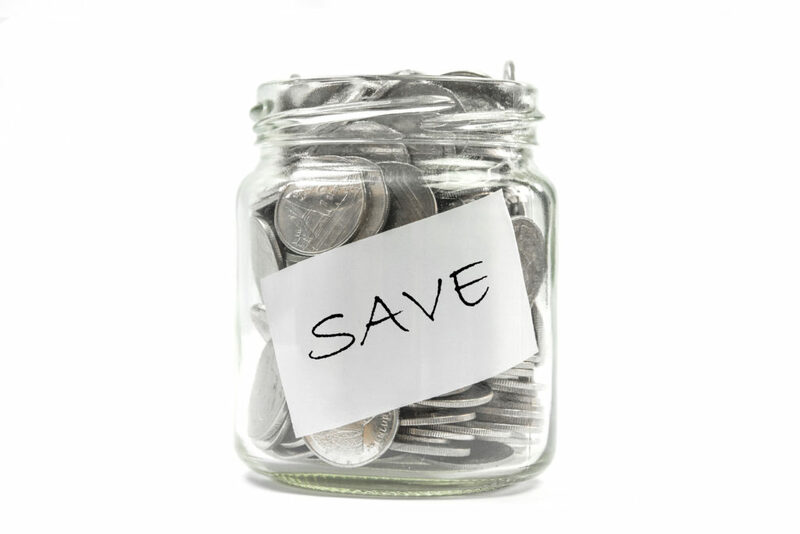 Savings jar image from Shutterstock.